Sally is a Paralegal in our Tax and Trust department advising clients upon the preparation of Wills, Lasting Powers of Attorneys and obtaining Grants of Probate and Letters of Administration. 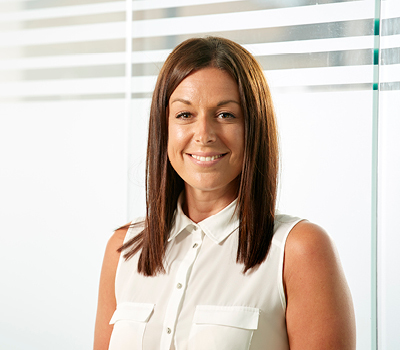 Sally assists with complex estate administration and is experienced in giving guidance to clients of the steps to be taken when someone has died. "Sally provided us with smooth, efficient, professional and friendly service in dealing with our instructions thank you." "It was very reassuring to be able to contact you with confidence and be sure of receiving first class attention. I would like to express my thanks to yourself and Andrew Jackson Solicitors for your friendly and professional help and advice at this very difficult time. I would not hesitate to recommend your services to anyone needing professional help." "We would like to express our thanks to Andrew Jackson Solicitors and particularly yourself for all your help and advice given to us when making decisions, it was very much appreciated. We would happily recommend the services of yourself and Andrew Jackson Solicitors to anyone requiring friendly, courteous and professional help and advice."